To start a Kul Tiran questline, you need to go to Stormwind embassy like with every allied race. 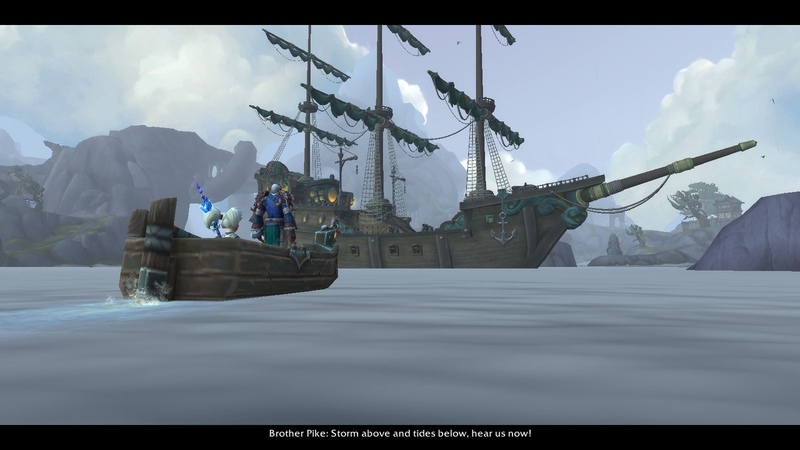 There you meet Jaina Proudmoore who wants us to help build a gift to King Anduin – a giant ship. To do so, we are sent on a quest to find a legendary shipwright Dorian. 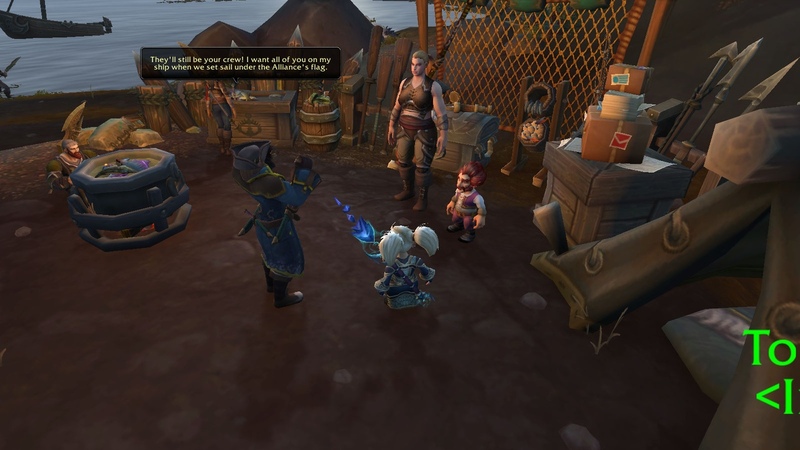 The initiate part will send you to Cyrus in port master’s office in Boralus, who will take you to Brennadam as a starting point. There you will question its citizens until you find out the clue where to find this legendary retired shipwright. It appears she’s in a small stead not far from Deadwash (thank the tides there was no Horde incursion running). And yes, it’s a she :) It’s a lovable couple of elderly humans – you even mistake the old man for Dorian. And she has elementals at her service! Funny thing: if you ask if she’s a shaman, she’ll respond: What’s a shaman? After a small talk, you set to port Fogtide where the ships are built. You get rid of some cultists there and place three beacons, then you must go to collect mats for the ship. 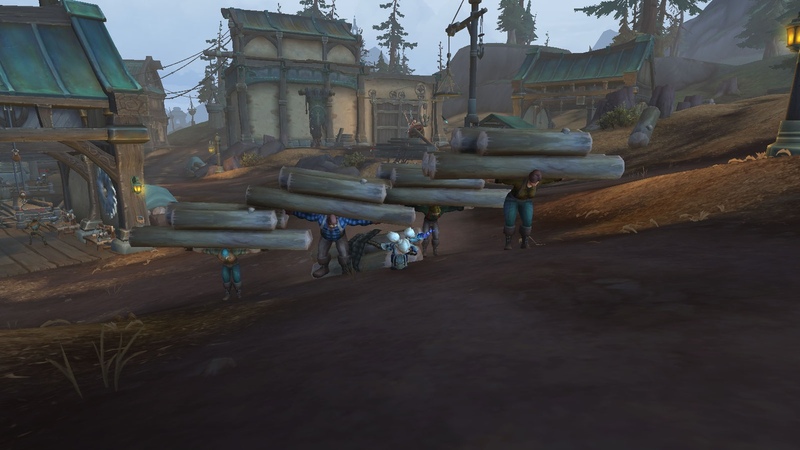 First stop is naturally Algerson Lumber Yard at Tiragarde, where you recruit his workers and haul the logs while Dorian protects you from wicker monsters. This was bugged – maybe because of many players doing the questline, but I had to haul the collected logs all the way up the hill to her husband, then halfway back (mind you, Dorian led me back! ), then up the hill again. The next leg of the trip is visiting Drustvar right away – thornspeaker druids including Ulfar himself help you to cleanse the logs from corruption, and you also go for a metal supply from Corlain mine. 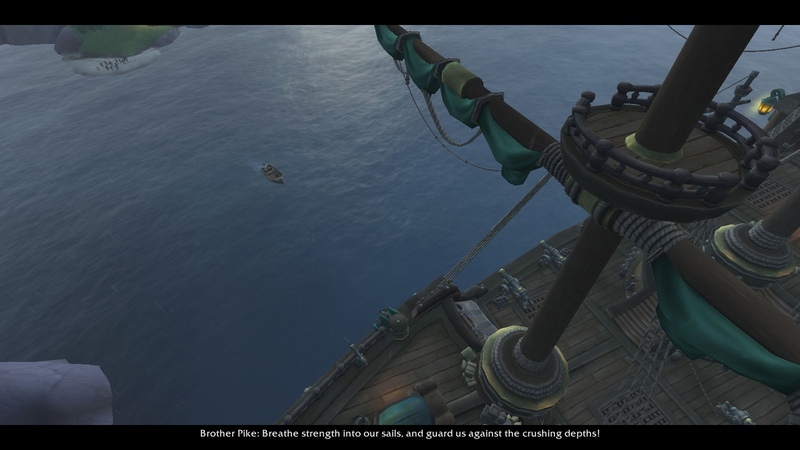 The Corlain part is very touching, as you chase a wicker doggie which behaves like a real one ) When done, there is another trip to Fogtide where from Jaina will send you to find the crew for the ship. 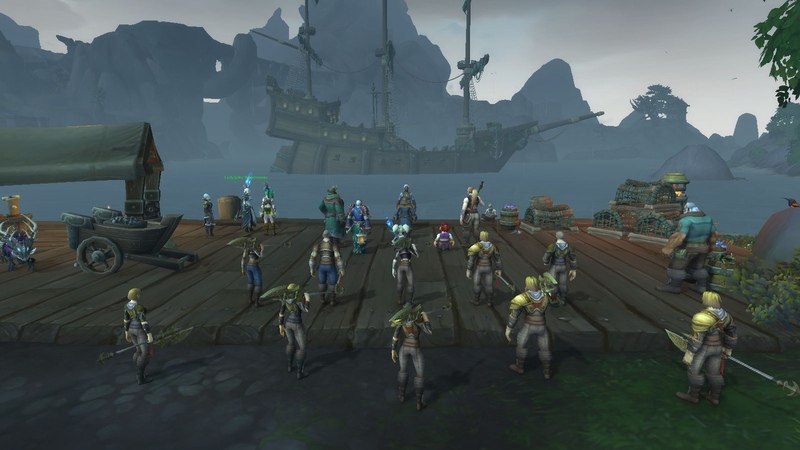 The crew part is the easiest one: no futile running or fighting, although you take flight all over Tiragarde. 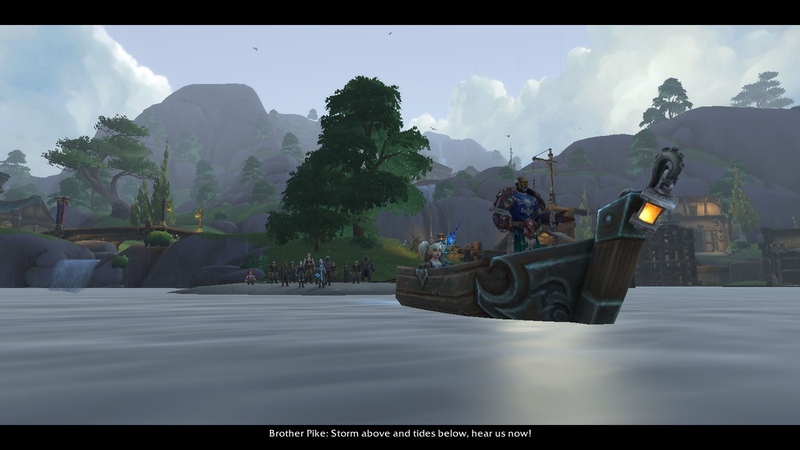 You recruit Tandred Proudmoore as a captain (Proudmoore Keep), Brother Pike as a tidesage (Tradewinds Market), that mounted gun guy from Vigil Hill as a gunner, and Outriggers as crew. There you are, and her maiden voyage is a trip to Stormwind. 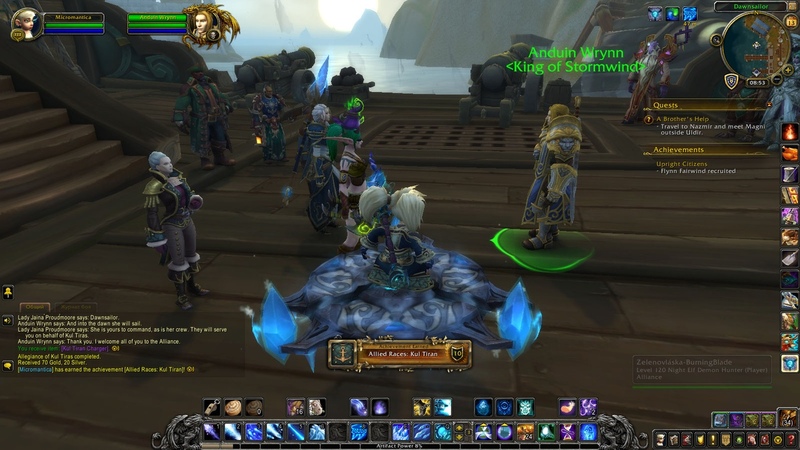 Jaina presents a ship, and Anduin is amazed with this generous gift. After a brief exchange Kul Tirans (and their racial mount) are now part of your gameplay! Magni’s bit is a very short one. 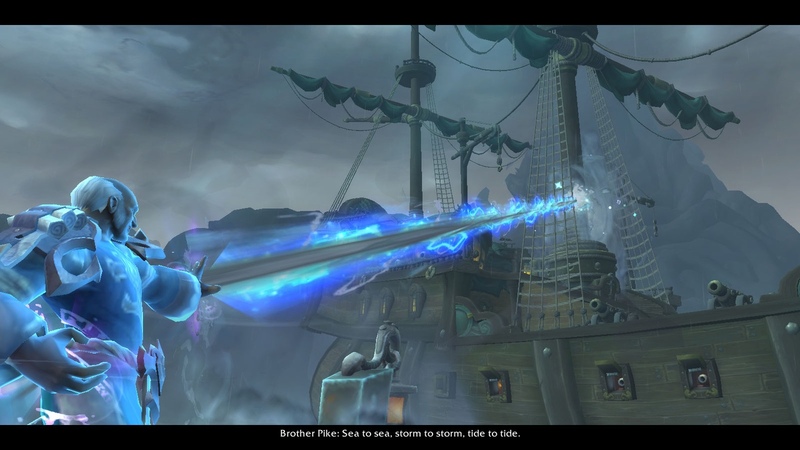 The quest pops up right after arriving in Boralus, and you go to the verge of Uldir pit. Brann Bronzebeard will get you to its entrance, while Magni, a thing of stone, gets there by himself (no helicopter could hold the diamond guy). You get along with M.O.T.H.E.R. 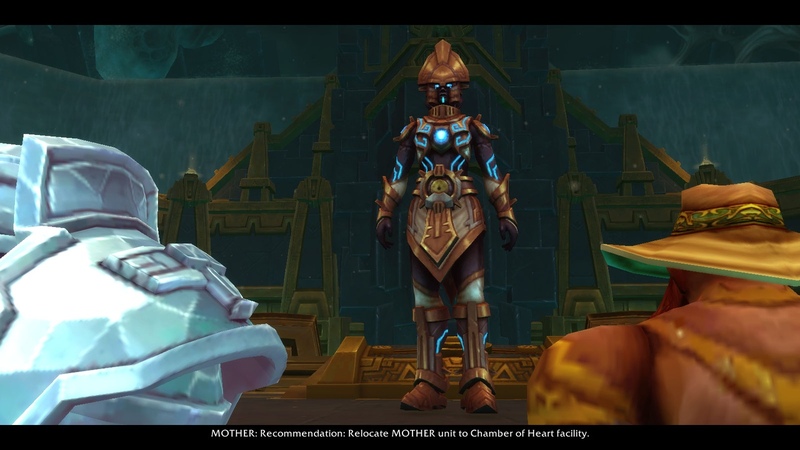 who points out that Uldir lab facilities are not a place to heal Azeroth. But she’s eager to help – she’s a titan creation after all, so we need to launch a teleporter to get us all to Heart Chamber safe and sound. After a small interference of void servants (and even a C’Thraxxi!) we are teleported there to Heart Chamber in Silithus, and we’re done. M.O.T.H.E.R. requires 77 cycles of calculating how to fix it, so for now we are left on our own – we leave, but not without +10 ilvl points to our medallion. Otherwise, we’re just sent elsewhere until the solution is found (read: next part of content).